Live Line Demo: Kentucky Power’s Live Line Demo team demonstrates the dangers of electricity using their public safety outreach trailer. The unit will be among exhibits at Hillbilly Days in Pikeville. PIKEVILLE, Ky., April 10, 2019 – Kentucky Power’s Live Line Demo trailer will be among the exhibits on display at this week’s Hillbilly Days, an annual fundraiser for Shriners Hospitals in Lexington, Kentucky, since 1977. 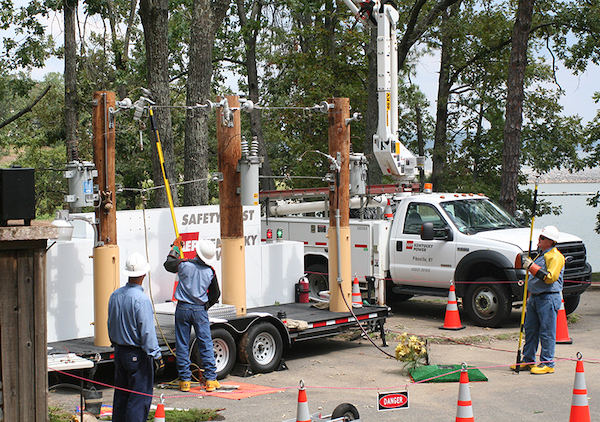 The Live Line Demo trailer is part of Kentucky Power’s safety outreach program and is used to train first responders and to raise public awareness about the dangers of electricity. During Hillbilly Days, Kentucky Power employees will staff the trailer near the parking garage on Hambley Boulevard. 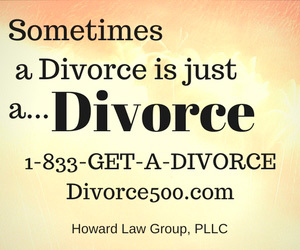 Demonstrations will be performed multiple times a day. On Thursday and Friday, demonstrations will take place at 11 a.m., 1 p.m., 3 p.m. and 6 p.m. On Saturday, demonstrations will be at 11 a.m. and 1 p.m. In addition to the Live Line Demo, Kentucky Power employees will participate in Saturday’s parade and staff an informational booth where attendees can enter a raffle for a chance to win an electric smoker. 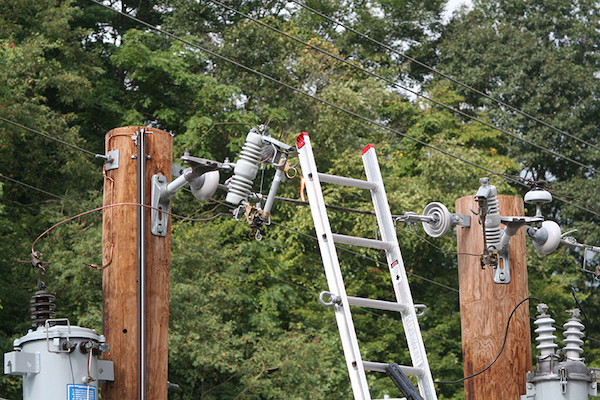 Kentucky Power’s Live Line Demo team shows what can happen when a ladder comes in contact with power lines. The team will perform this demonstration and others during Hillbilly Days this week in Pikeville. Based at the Pikeville Service Center, the Live Line Demo unit includes everything that can be found in neighborhoods but on a smaller scale. The utility poles, overhead lines, transformers and other electrical equipment are all on a mobile trailer that can be taken to audiences across the company’s service area. The equipment is energized by an onboard generator so that trained professionals can simulate what happens in real-life situations. The purpose is to provide education about all aspects of the electrical infrastructure while highlighting safety messages through physical demonstrations. Ashland-based Kentucky Power serves about 168,000 customers in 20 eastern Kentucky counties.